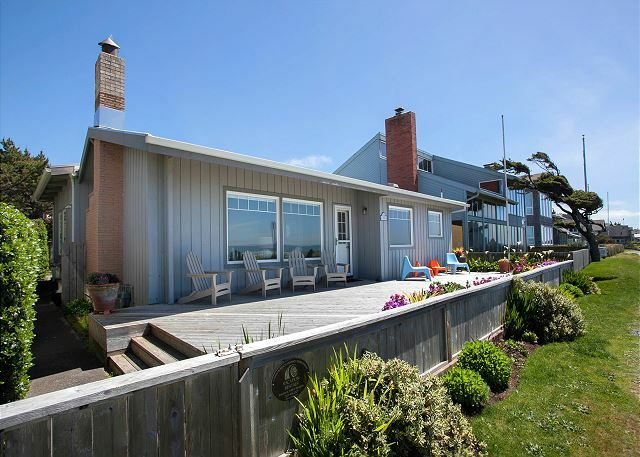 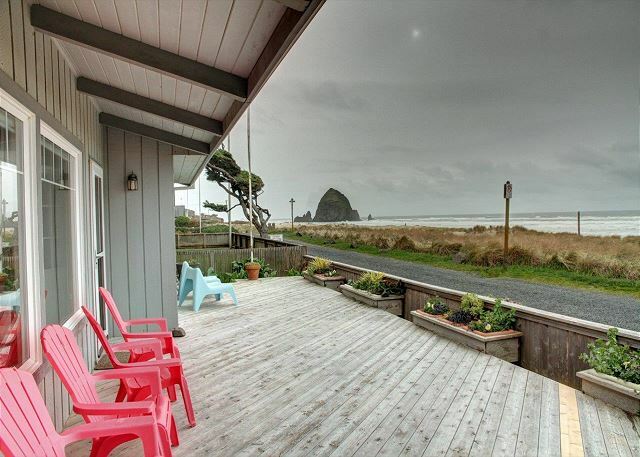 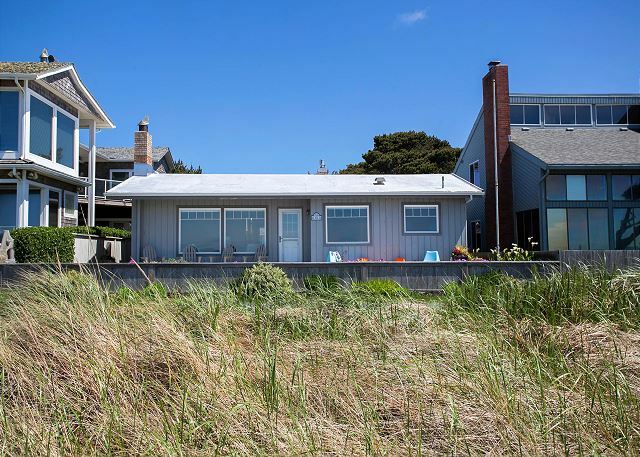 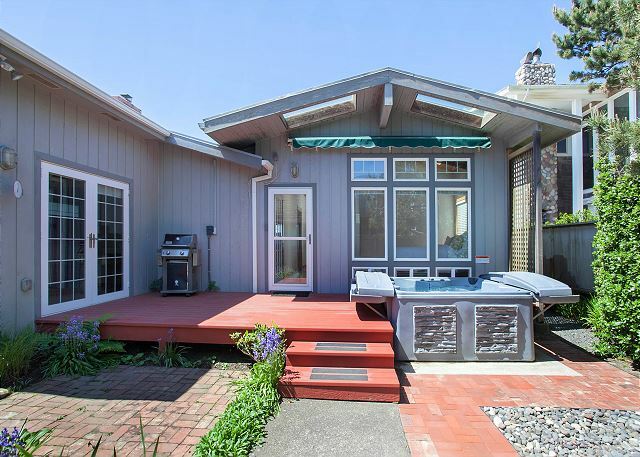 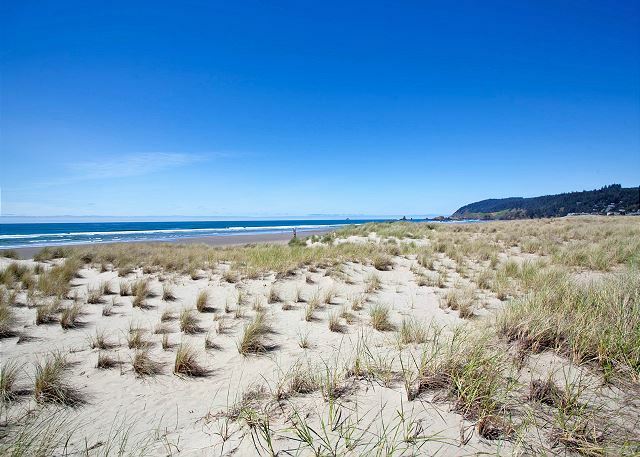 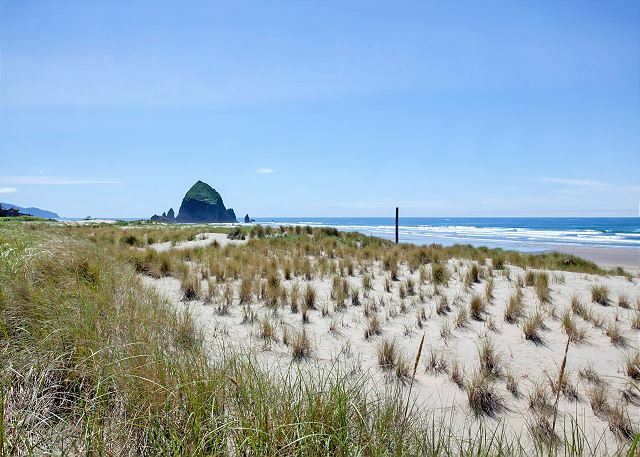 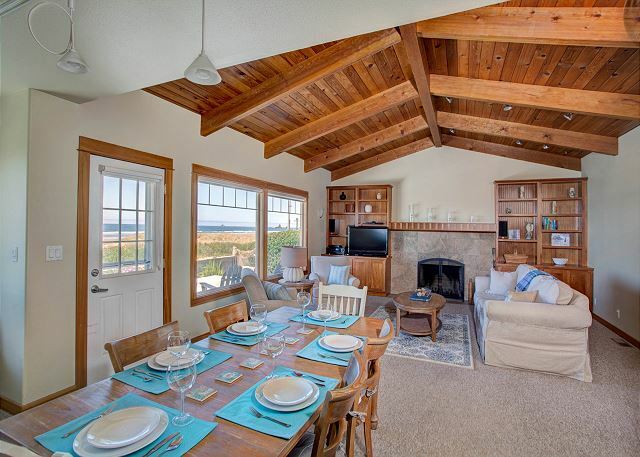 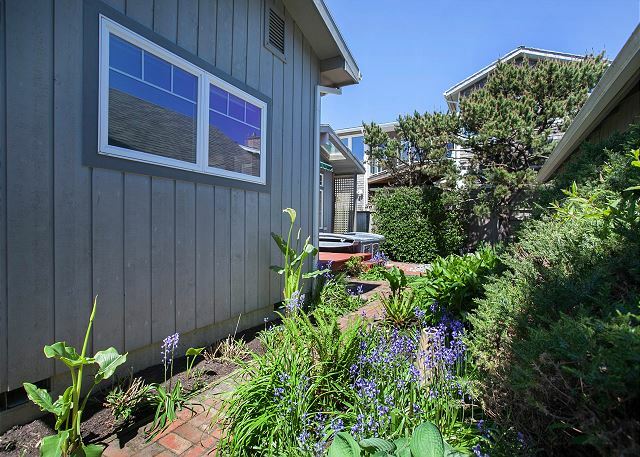 Located in the heart of Cannon Beach on Ocean Avenue, Pacific Retreat provides the perfect family beach experience. 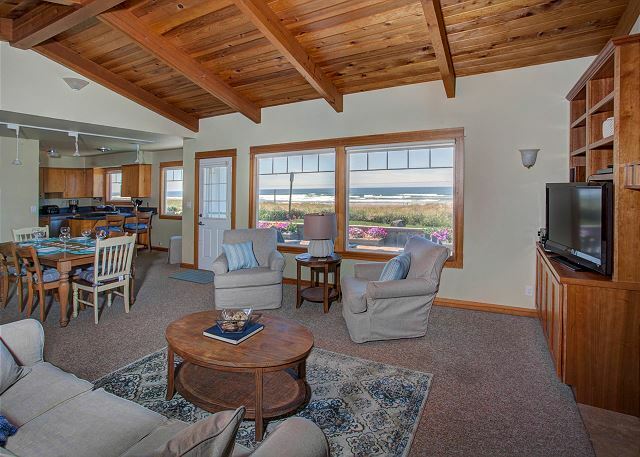 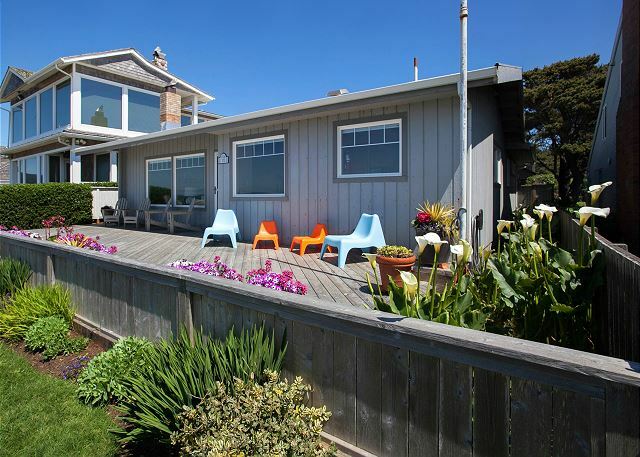 A roomy front deck invites lingering and lounging, taking in the expansive ocean view. 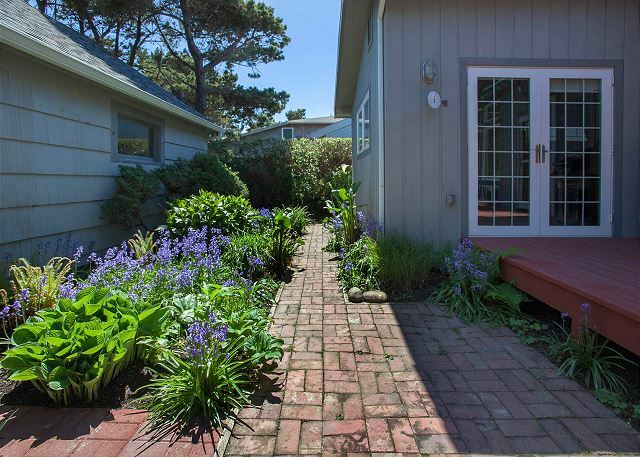 Steps from the deck and small fenced yard, a gate beckons you to explore the beach just beyond. 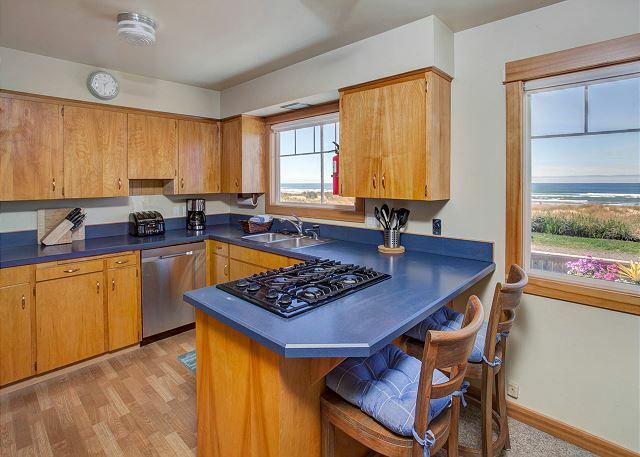 The living room, dining area, and kitchen all face a full ocean view. 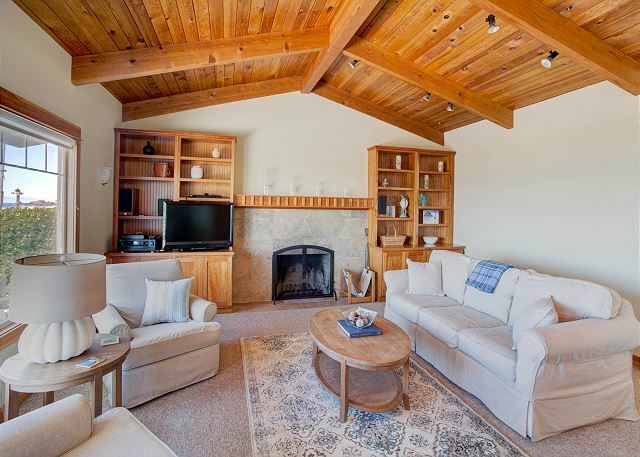 While the wood-burning fireplace invites cozying up with a book or mug of hot chocolate, the high ceilings (wood-beamed in the living area, sky-lit in the bedrooms) add to the open flow of the house. 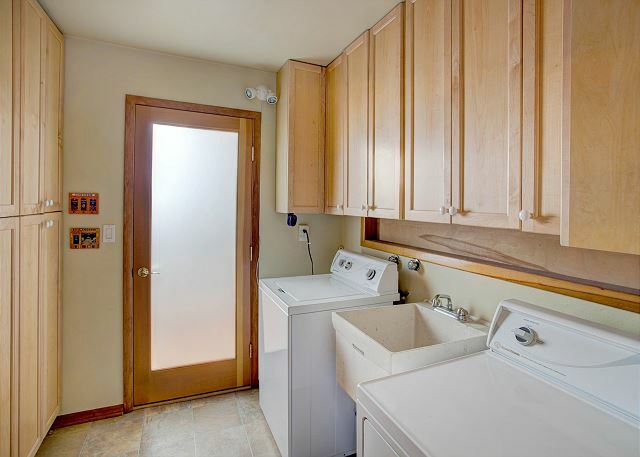 Two conjoining hallways are linked by a walk-through bathroom with tub, as well as another ample walk-through utility room with washer, dryer, and utility sink. 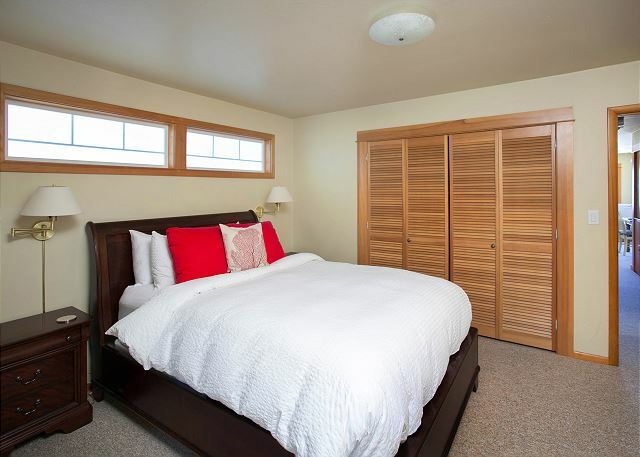 From one hallway flows two comfortably sized bedrooms, both with Queen beds. 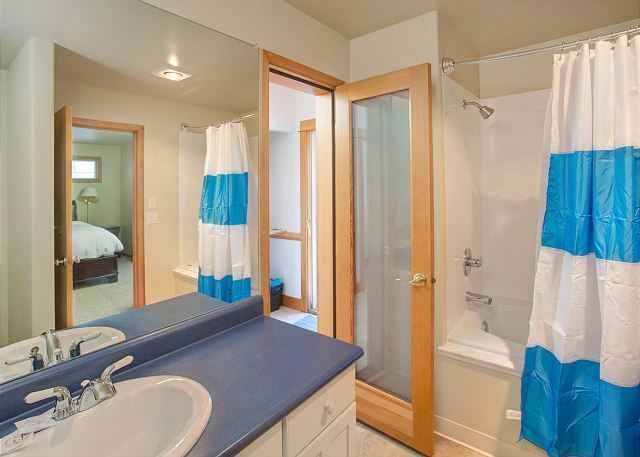 From the other hallway flows another bathroom with shower, the master bedroom with a Queen bed and a bedroom with two Twin beds. 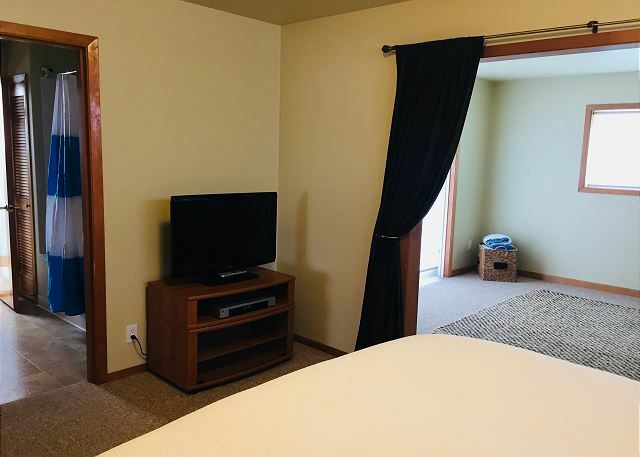 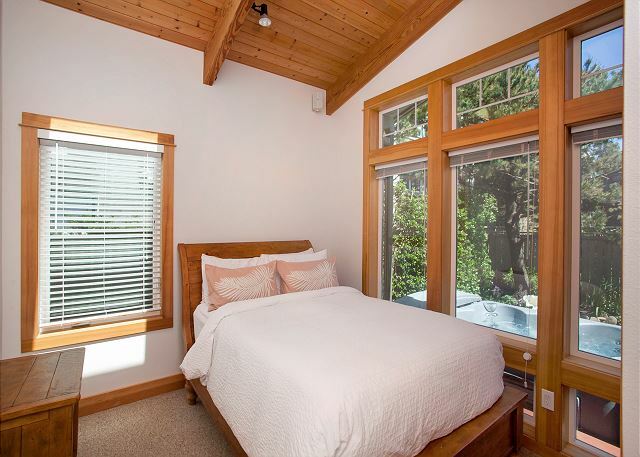 The Queen master bedroom also features an adjoining sitting area looking out onto the back deck and hot tub. 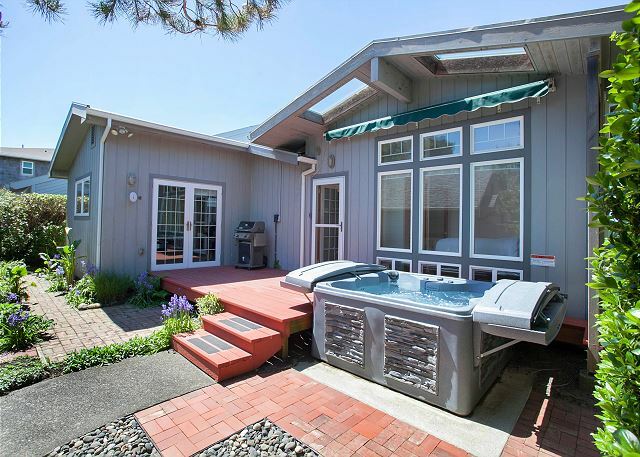 After a full day of beach-combing or browsing shops and galleries, the private backyard deck and patio invite a relaxing B-B-Q and soak in the hot-tub. 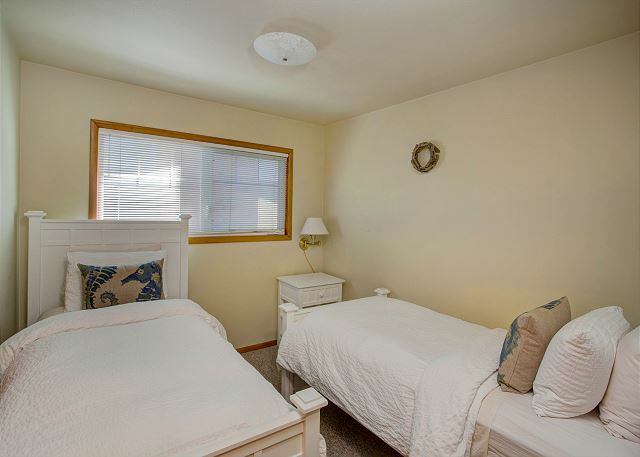 Accommodates 8 maximum; no pets; no smoking; parking for 4 vehicles. 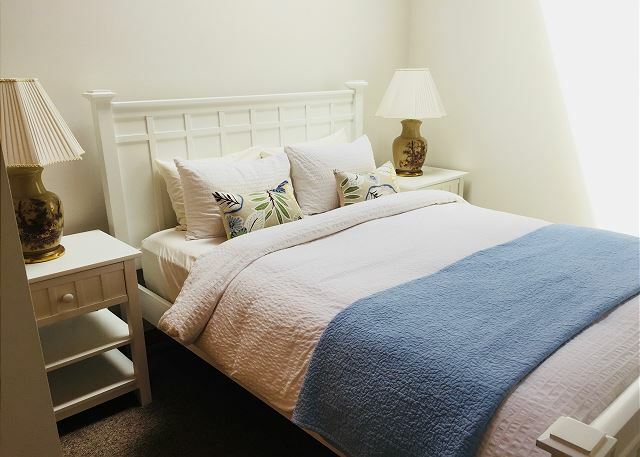 "Staff was friendly and helpful. 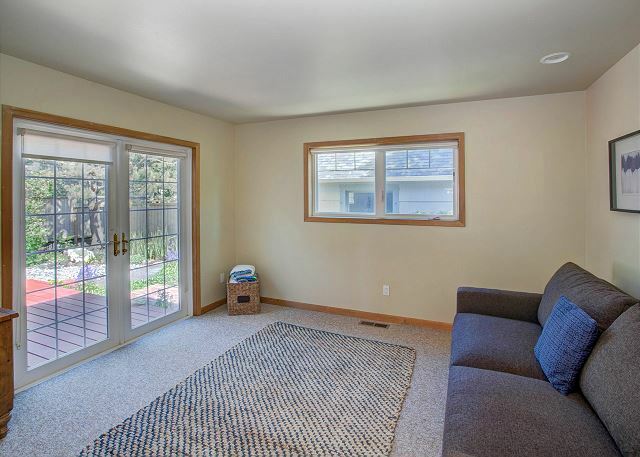 We really liked the house layout, the large front deck and the one floor. 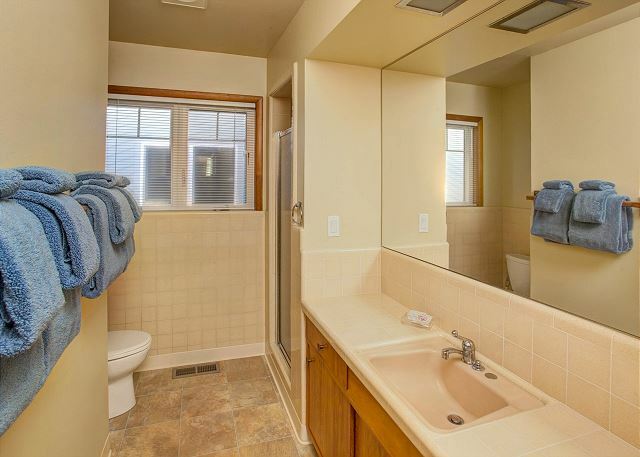 Just.a couple stairs in and out of the house. 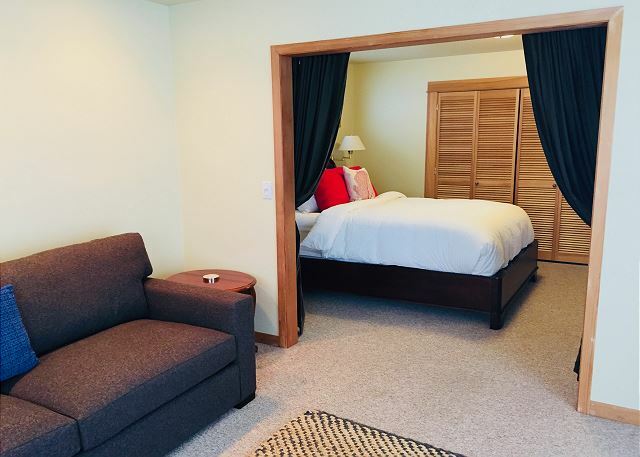 Loved the location."